Lady Patricia Ann Ross is a dedicated, loved, committed, woman of God whose sacrifice and devotion to God, her family, as well as the Body of Christ is evident in her everyday life. Lady Ross is the First Lady Emeritus of Triedstone Missionary Baptist Church, which she served as First Lady for 50 years until her husband’s retirement December 31, 2016. She is an anointed woman of God, who lets God use her to minister to men, women, boys and girls encouraging them to seek the higher calling in their lives. October 19, 2003, she was licensed as a Minister to preach the Gospel, by her under Shepard and covering, Bishop Jerome H. Ross, Sr.
Lady Ross is a remarkable and inspiring woman with a multitude of gifts and talents. In 2012, she assumed the awesome responsibility of supporting and assisting her husband, Bishop Ross, Presiding Prelate of Kingdom Connection Fellowship as together they Advance the Kingdom sharing of their wisdom and leadership. She is a well-known anointed singer who has been extremely active within her music ministry including serving with the Voices of Triedstone for over 50 years. Lady Ross is the former Assistant Chapter Representative with Gospel Music Workshop of American (GMWA). She has been featured soloist on three Triedstone Baptist Church albums: Sunday Morning at the Stone, Just to Behold his Face, and Triedtone Live. Other recordings include Mildred Clark and Melody Aires, Rev. Jeffrey Kee and Von Thomas’ Love Concert. She has had the pleasure of singing with many well-known artists such as Sara Jordan Powell and The Winans. Lady Ross has also had the distinction of singing for two Presidents; President Jimmy Carter and Pastor Barack Obama, where she had the honor of singing the National Anthem during the 2012 President Election Campaign Rally at Nationwide Arena in Columbus, Ohio, November 5, 2012. Lady Ross has a heart for women and they are at the heart of her ministry. She gives God praise for all his benefits and the opportunity to speak His word. She is a praiser and workshops God in spirit and in truth. Lady Ross serves as a spiritual mother and mentor too many women and pastors wives. Additionally, she is a certified HIV/AIDS Counselor. Lady Ross retired from the Franklin County Department of Job and Family Services with over 32 years of service. Prior to her retirement, she served as Director for the North Opportunity Center. She is committed to love and serving in ministry with her husband for over 52 years, Bishop Jerome H. Ross and is the proud mother of two, Jerome Jr. (Melissa) and Krystal and is the very proud grandmother of four – Tiara Nichole, Jasmine Hannah, Jalah Haley, and Justice Jerome. 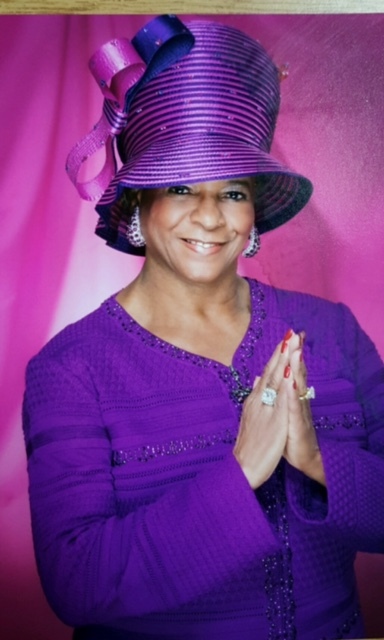 Lady Patricia Ann Ross is sought after nationally but her commitment to Kingdom Connection Fellowship, International is foremost in her heart.